This book explores aspects of the online world and how we can speak the truth of the gospel online. If you have an internet connection, chances are you’ve witnessed or engaged in some form of online discussion—perhaps with just one or two others via email, or with dozens of people on a social media platform like Facebook. No doubt some of those interactions have been fun, civilised and intellectually stimulating. Others... well, not so much. As Christians we know the importance of our speech. Yet the fingers on our keyboard can be as hard to tame as our tongue (James 3:8). 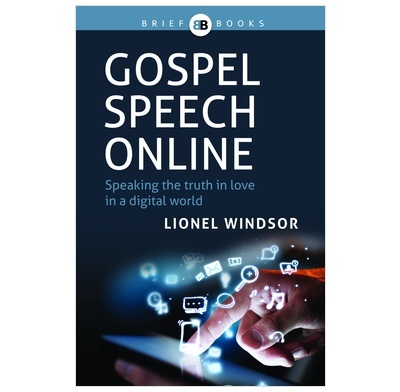 In this fascinating book, Lionel Windsor shines a healthy spotlight on the advantages, pitfalls and peculiar nature of the online world and explores how it affects the way we relate to others. His goal is to help you speak the truth of the gospel in love—even online. Gospel Speech Online also features an introduction by Tony Payne on the importance of words and how words build.